knew that we did not need to look any further and she was the doula for us. After Patti left that night, I remember my husband telling me that he instantly felt better and more confident about our birth plan and that a weight had been lifted from his shoulders knowing that Patti would be there during the birth. During my pregnancy and then labor, Patti’s experience, knowledge, sensitivity and connections with the natural birth community were priceless. Patti was able to recommend an amazing midwife for me to be able to have a hospital birth after I left one OB clinic in tears because the midwife told me that the nurses at the hospital were “very good with epidurals” when I asked her experience with natural births. 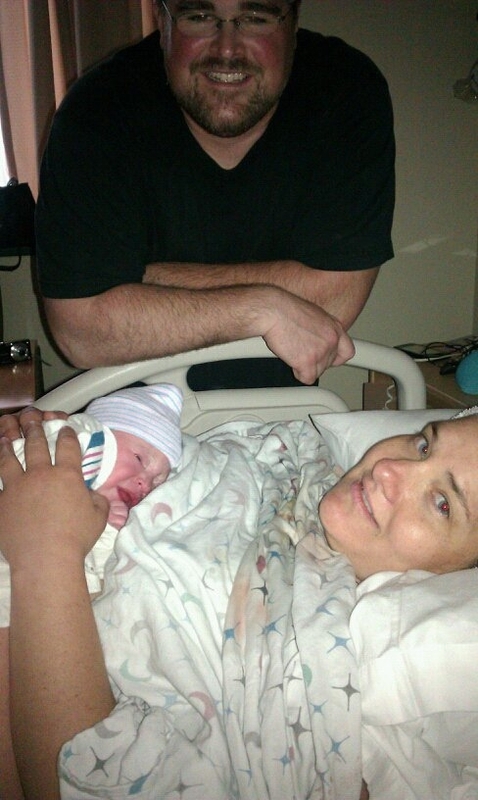 Just when I thought my chances of having a natural hospital birth were over, Patti saved the day. That was just the beginning of Patti proving to be an invaluable resource to me throughout the course of my pregnancy. Lucky me, my water ended up breaking the day before my due date at 3 am. Patti and I were in constant contact every few hours throughout the entire day. When I felt like I needed Patti to come over to my house, which ended up being around midnight, she was at my backdoor before I knew it. She immediately started to help us time contractions and get my husband situated with those wonderful lower back massages! As soon as she arrived, there was a sense of confidence and serenity that filled the air even though things were really picking up. Patti timed it perfectly, around 3 am we started the 45 minute drive for the hospital and I ended up having the baby at 8 am. Only a few hours laboring in the hospital!!! Patti was fabulous especially when it came down to crunch time. She walked us through each stage of the labor and told my husband what to expect as these stages progressed. My husband said that Patti was able to put his mind at ease during the entire labor/delivery and therefore his only job was to support me. As soon as the baby was born, Patti immediately assisted us with breastfeeding and showed herself to be way more knowledgeable than the Lactation Consultant at the hospital. It is difficult to describe in words, but Patti, my husband, my midwife, my mom and hypnobabies made it an amazing birthing experience!